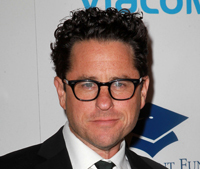 After yesterday’s surprise announcement that J.J. Abrams will be franchise-hopping from Star Trek to Star Wars, fans have been curious about what that means for the future of the U.S.S. Enterprise and her crew. Today, Paramount Pictures tells The LA Times that Abrams remains committed to Trek and will, at the very least, serve as producer on Star Trek III (or Star Trek XIII, depending on your point of view). What’s more, he’s also going to remain attached to at least one more film in the Mission: Impossible franchise. Abrams’ next, Star Trek Into Darkness, hits theaters on May 17 and reunites Chris Pine, John Cho, Bruce Greenwood, Simon Pegg, Zachary Quinto, Zoe Saldana, Karl Urban and Anton Yelchin with a cast of newcomers that includes Benedict Cumberbatch, Alice Eve and Peter Weller. Star Wars: Episode VII, meanwhile, is being written by Michael Arndt and is scheduled to hit theaters sometime in 2015.